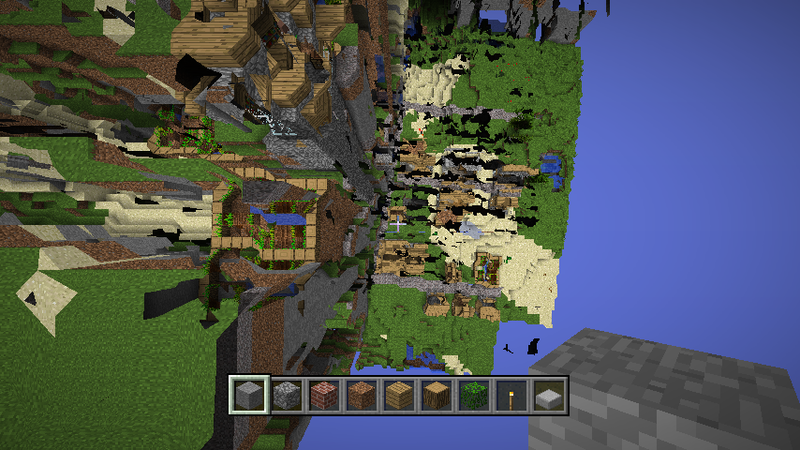 A Minecraft player named Kurt J. Mac resolved to walk in the same direction in Minecraft, from one end to the other, for as long as he could. That was in 2011. It’s now 2015, the four-year mark has officially passed, and he’s still at it. Now it’s enough to get into the Guinness Book Of Records for the longest journey ever taken on in a video game. The last progress report was in April of 2015, when he’d crossed 2,097,152 blocks, or the real-world equivalent of 1,303 miles by foot. His ultimate goal is to reach the Far Lands, which is a glitch that was removed from later versions of the game (he’s not patching his copy, just for purposes of doing this). Despite how long it’s taken him to travel as far as he’s gotten, he’s only covered 16.78% of the ground necessary to reach the area. This means that, altogether, reaching the Far Lands will take 20 more years, for a total of 24 years — assuming his computer lasts this long, or that he can continue using a PC that will run the version of Minecraft that has the glitch. We’ll find out in 2035, won’t we?